Advice from the bench, step-by-step procedures, practice-proven strategies, dozens of digital forms, and thousands of citations. Delivers quick and reliable answers with its unique online format, tight writing, superb scholarship, and extensive supporting authority. Focuses on pleadings, motions, and discovery. As court interpretations evolve and laws change, it is crucial to stay informed. For Illinois litigators, that’s where Illinois Pretrial Practice comes in handy. 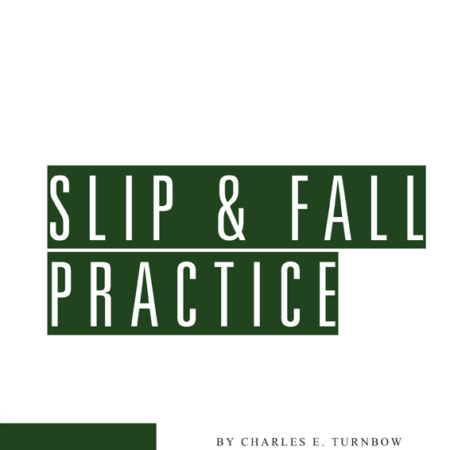 Written by retired circuit court judge Jennifer Duncan-Brice, Illinois Pretrial Practice delivers quick and reliable answers with its unique outline format, tight writing, superb scholarship, and extensive citations. In addition, this helpful guide contains practice-tested forms and pattern paragraphs designed to speed drafting. Illinois Pretrial Practice delivers quick and reliable answers with its unique outline format, tight writing, superb scholarship, and extensive citations. Its practice-tested forms and pattern paragraphs speed drafting. With concise explanations, practice tips, and case based examples, Illinois Pretrial Practice covers everything from accepting the case to the eve of trial. This edition brings you a new chapter, 30 new sections, and more than 100 new case citations. This chapter explains the concise procedure for a judgment creditor to identify the judgment debtor’s non-exempt assets and have them applied to the judgment. Assets can be sought not only from the debtor but also from third parties in possession of them. Jennifer Duncan-Brice began her legal career in 1975 as a law clerk in the City of Chicago’s Office of Corporation Counsel. In 1976 she became Assistant Corporation Counsel, working in the Litigation Division and primarily representing the Chicago Police Department and police officers on civil rights actions in federal court. In 1982 she was transferred to the Real Estate Division, handling condemnation cases and representing the Landmark Commission. In 1985 she was promoted to Chief Assistant Corporation Counsel and was assigned to reorganize the Torts Division. In 1987, she was promoted to Deputy Corporation Counsel. In 1992 she was elected a judge to the Circuit Court of Cook County, and was assigned generally to the Law Division. Judge Duncan-Brice was assigned to a Motion Call in 1994 and a General Calendar Call in 1996. In 2011, Judge Duncan-Brice retired after approximately 19 years on the bench. She now works as a mediator and arbitrator for Resulte Systems, LLC, 150 S. Wacker Drive, Suite 2650, Chicago, Illinois 60606.